Google may soon face allegations of anti-competitive behavior in the United States similar to the way Microsoft was examined in the 1990s. The Federal Trade Commission is reportedly considering a "broad antitrust investigation" of Google, according to Bloomberg. Accusations of monopolistic practices have been lobbed at Google for several years, but now they are reaching a fever pitch following the European Commission's launch of an antitrust investigation of Google in November. 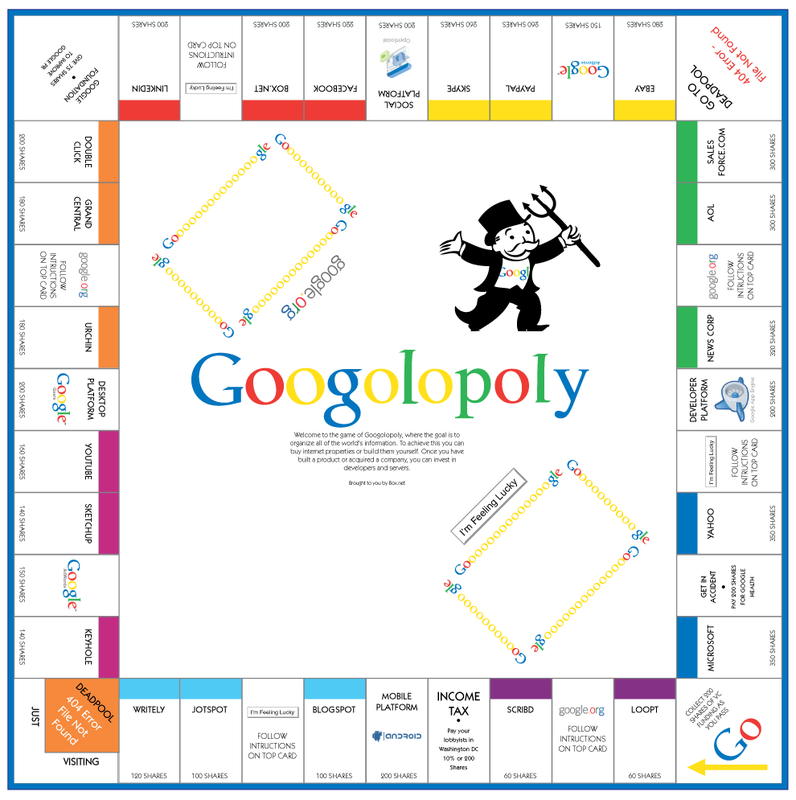 Microsoft recently announced it would join the antitrust complaint against Google in Europe. Antitrust concerns have also been raised over the search giant's plans for expanding Google Books and the company's intent to purchase ITA, a flight data aggregation company. The FTC is reportedly waiting on the Department of Justice to consider possible antitrust implications from Google's ITA deal before launching a broader investigation. The DOJ in January was said to be preparing to file an antitrust challenge against Google, but that threat has yet to materialize. Google owns about 66 percent of the U.S. search market, according to the latest numbers from comScore. But Google has moved beyond search to become a dominant player in mobile phones with the Android operating system. The company is also hoping to create the largest digitized library of the world's books that is completely searchable with Google Books. Google is also working on a music retail service to compete with Apple's iTunes, and a recent report by the Guardian said Google's YouTube is hoping to become "the home of live sports broadcasting online" for major North American sports leagues such as the NBA and NHL. Add to all that the massive amounts of user data Google has on its servers, and it's no surprise that regulators want to consider reigning in the company. But does Google's dominance in search and its growing database of information and content warrant the same kind of treatment Microsoft received in the 1990s? As Bloomberg News contributor Paul Kedrosky recently pointed out, Google's search business does not lock in customers the same way that a desktop operating system from Microsoft does. If you choose to install Windows, you can only use products designed for that system. Microsoft was able to use its massive market power to pressure competitors such as RealNetworks and IBM's OS/2 operating system. Google, on the other hand, can't lock in users, since search engines such as Bing, Blekko and DuckDuckGo are available to anyone with just a few mouse clicks. But for whatever reason, most users are sticking with Google for search rather than trying something else. Nevertheless, Google's massive search user base, critics say, gives it the ability to affect a site's popularity by moving the site off Google's first page of search results. This is part of the reason some European sites filed antitrust arguments against the search giant. It's not yet clear if Google would face a massive antitrust investigation, but the search giant is no stranger to casting accusations of monopolistic behavior either. In March 2009, Google joined with other Web browser makers in a complaint to the European Commission that Microsoft was shielding Internet Explorer from competition by bundling the browser with every copy of Windows. Microsoft responded by giving European users the option to dump IE from Windows.